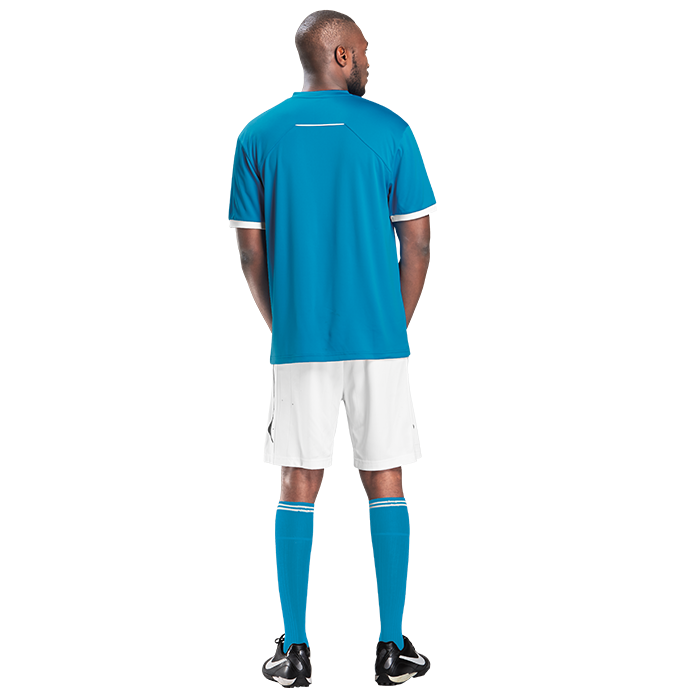 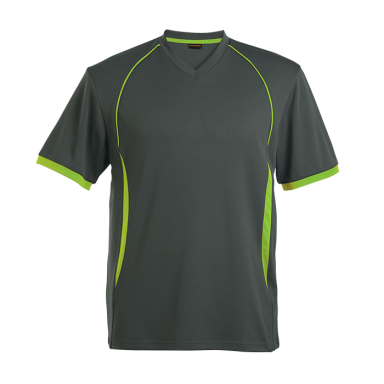 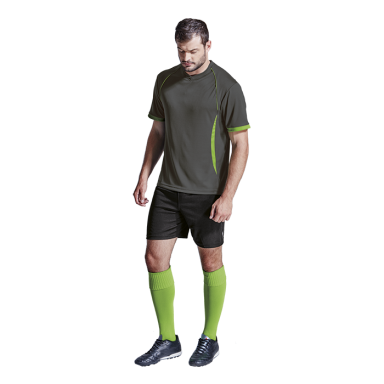 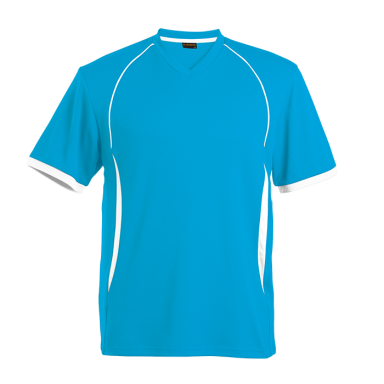 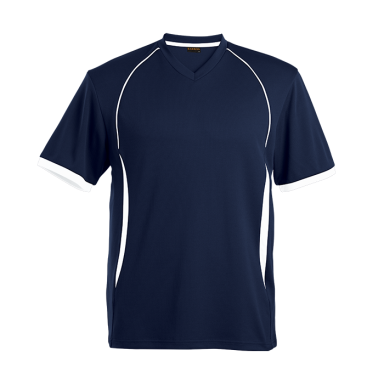 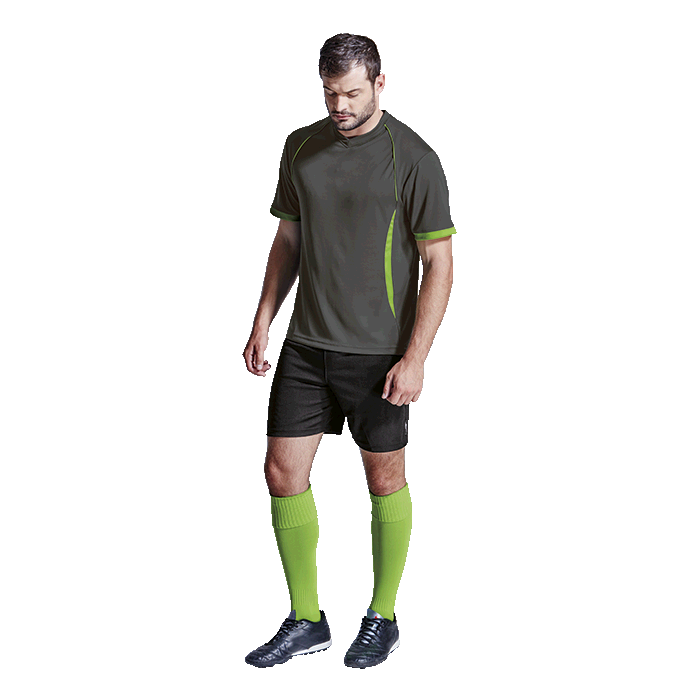 New active shirt with V-shape neckline and raglan styling with contrast piping. 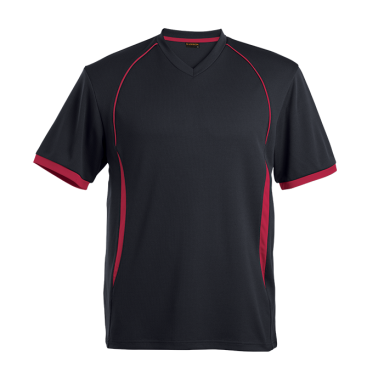 It also has shaped contrast front panel lines, tonal self-fabric collar and double top-stitched hem. 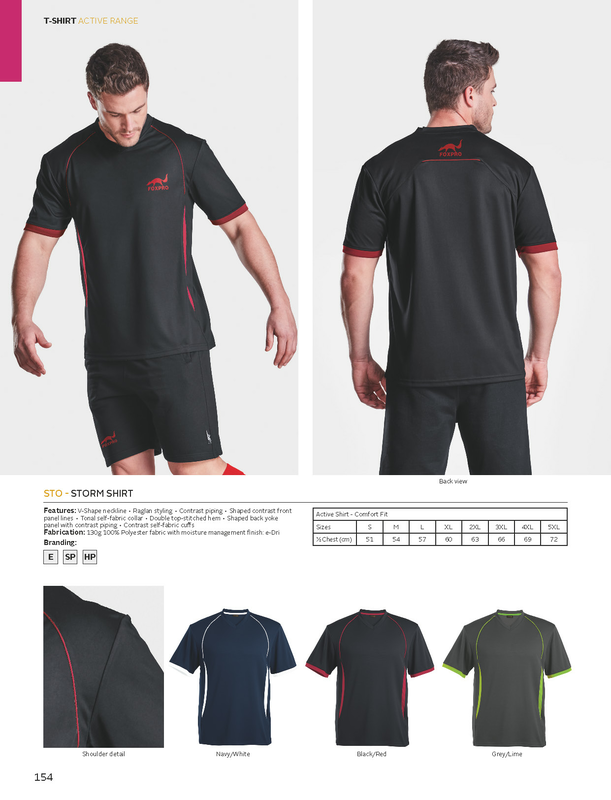 Available in four colourways.